IKEA was founded in July 1943 by Ingvar Kamprad on the outskirts of Älmhult, Sweden. Fast forward to 2018 – it has turned 75! That’s right. It’s hard to believe but that is the number of years it has under its belt already. It sure has come a long way from being a company run by “a teenager on a bike” to securing its place as the world’s largest furniture retailer. Well, if you’re planning to visit IKEA anytime soon, be prepared to get engulfed in a wave of nostalgia. For, to celebrate its 75th birthday, the Swedish retailer is rolling out some of its iconic pieces from the past 75 years in a vintage collection that is sure to take you on a trip down memory lane. Named the Gratulera Series, it includes three different collections of its most popular products from the time periods, ’50s-’60s, ’70s-’80s and the ’90s-’00s. The collection is being launched globally throughout Fall, 2018, with separate launches for each decade. The ’50s-’60s line has already been launched while the other two will be launched in October and November. “Each launch is different to the other, signifying its time period; from dark woods with a classic expression, to a very playful style with strong colours and then to a more natural look with Scandinavian woods and graphic colours,” said IKEA’s creative leader Karin Gustavsson. In addition to the launch of the Gratulera Collection, IKEA kick-started the birthday celebrations in August in a super sassy, fun way by throwing a huge party for IKEA members with tons of in-store activities, party snacks and, wait for it – Prizes! 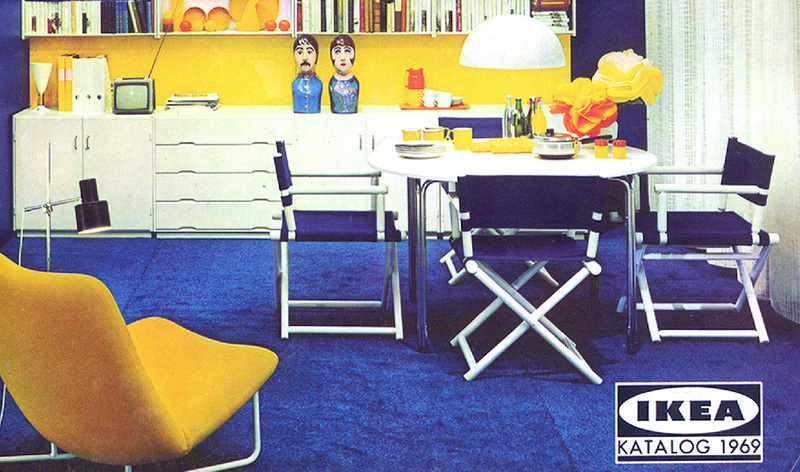 What with the larger-than-life birthday party and the re-launched vintage collectables, die-hard IKEA fans have had quite a bit to look forward to this year. The part that we’re most excited about is the opportunity to buy reinterpretations of its classic products, such as the company’s first Klippan sofa and its retro Ekenäset armchair. We cannot think of a better way to celebrate and appreciate this milestone, than picking up one-of-a-kind pieces from its historical moments. A piece of advice though – these “golden oldies” have been hand-picked by IKEA and reproduced in limited numbers, so snap ‘em up before they are gone! Enjoy the Blast from the Past folks!